Welcome to BuildAtNight, a brilliantly crafted and well-thought out Minecraft server. Banned? Read THIS POST and follow its instructions. Getting started on BuildAtNight can prove seemingly difficult, the difficulty is set to Hard Mode. Unlike many servers, it is made to fully entice players who have everything, and challenge players who have nothing! An option is joining one of the many server towns. Each town is managed by a Mayor, and each mayor works hard to maintain the standards of their clients living spaces. It is helpful for new players to join a town because they are guaranteed safety and most towns have farms for a food supply. In each town is a town hall, where you can find information on how to get a plot, and what kind of builds you need to construct. In order to rank up on this server you need to build. To get the first rank, Builder, you need to build a regular house. As the rank builds progress, it becomes harder to rank up. For a tier 1 rank, you need to build a decent build. But tier 2 and tier 3 building ranks require much more effort. There are occasional building competitions, each one completely differently themed! There is no limit to what you can build! Everybody on the server has their own style of building, so take advantage of yours and impress everybody. The overarching theme of our server rules is "Don't be stupid" If you think you might be breaking a rule or can get out of trouble by exploiting a loophole, ask staff for advice if your not sure. 1. No Griefing - Griefing is destroying things other players have built/produced. Griefing is an instant ban offense. We take it seriously and roll back any damage. 2. No Cheating - Hack mods, Xraying or exploiting the game for unfair advantage (duping, etc) is strictly prohibited and an instant ban offense. 3. No abusing people - Threats, harassment, Doxxing, stalking, racism, bigotry or any other behavior that is Illegal is an instant ban offense. 4. Be sensible with chat - We try to be generally accepting of most chat topics but things that are hotly contentious would be better off discussed on any of the millions of other communications platforms there are out there. (Politics, Religion, etc.) We employ a chat filter that attempts to restrict or improve certain chat terms. Attempting to bypass that filter is not suggested, it could result in a ban. Do not advertise other servers. 5. 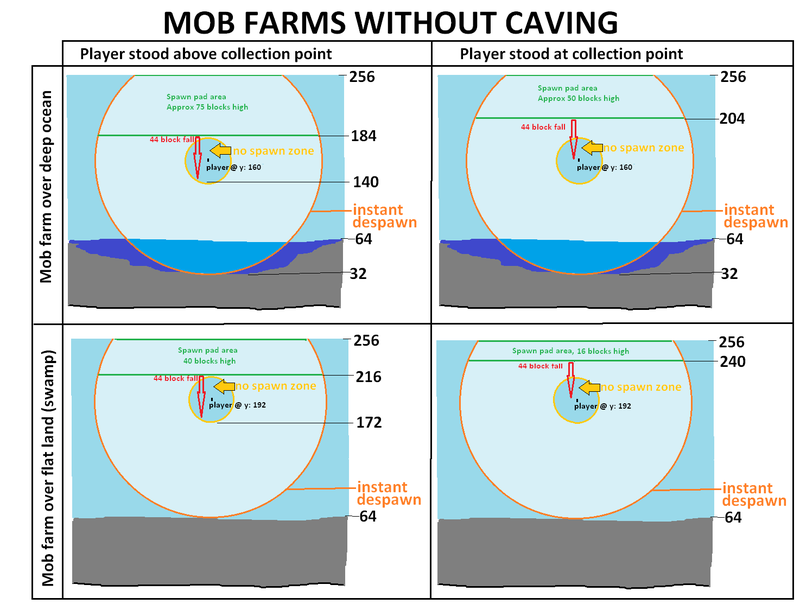 Limit mobs - Mobs are limited to 50 of each type in any loaded area. (50 Sheep, 50 Cows, 50 Chickens etc etc) Exceeding this limit may result in some of them being killed. The ones killed may be random but naming a mob can help protect it. This limit is imposed to help maintain a lag free server for all players! The staff at Build at Night goes out of their way to maintain a fair and safe enviroment for people of all ages and walks of life. That is our number one goal. If you have a question, comment or concern you may post it here, or make a /ticket in game. At this server we have special features that are accessible by typing a command. To perform one of the listed commands open your chat box and type them. As players build and progress through the ranks they unlock additional commands. Command cost is in game currency earned through trading. Game currency may NOT be bought with real money, only earned by game play mechanics. /spawn - Teleports you to the world spawn. /help - Displays a few basic commands for if you forget. /motd - Shows the message of the day. /list - Lists the players on the server, sorted by rank. /seen (player) - Shows when a player was last on. /suicide - Ends your life prematurely. /kit tools - Provides you with basic stone tools and a few food for a small fee. /kit boat - A small boat to help in water travel. /helpme - Displays information on opening an help ticket. /msg (player name) - With no message this will start a private conversation with a player. /msg - Just /msg will end a private conversation. /msg (player name) (message) - Sends a private message to the player you specified. /r (message) - Replies to the last person who sent you a /msg. /mail clear - Deletes the mails in your inbox. /mail send (player) (message) - Sends a mail for a player to read. Works for offline players. /me (message) - Performs an emote chat action. /sethome - Sets your default respawn point and /home. /homeregion - Teleports you to your set home region. /movein - Changes your home region to the one you are standing in. /randomregion - Teleports you to a random region. /warps - Lists the warps you have access to. /warp minechat - Warps you to a mob free location, only useful on when using minechat. /warp theend - Unlocked only after making a pilgrimage to the temple in "The End"
/bal - Displays the amount of money you have. /pay (player) (amount) - Pays a specified player an amount. /iteminfo - While holding an item typing this will show that items ID and short name for a shop sign. /auc help - Lists all available auction commands. Chests and signs are locked with LWC inside or outside of a claim. To allow a player into your chest inside your claim you must allow them at least /containertrust in your claim AND /cmodify each chest you want them to access. This enables you to add someone into only one chest instead of the default "All" chests that /containertrust allows. /lock - Type and punch a chest/door/dispenser to prevent players from opening it. /cmodify (player) - Allow a specific player to access a locked chest. /unlock - Type and punch a chest/door/dispenser to remove the protection. /lwc flag hopper on - This will allow hoppers to interact with /lock(ed) chests. Protection areas are managed by Grief Prevention, and are called "claims." Right click with a stick to show claim borders, hold a golden shovel to resize or make a new claim. /claimslist - Lists claims you have and available claimblocks. /abandonclaim - Removes the claim from the area you are standing in. /abandonallclaims - Removes all of your claims. /AccessTrust (player) - Trusts a player to open your doors and use buttons and levers, not build. /ContainerTrust (player) - Trusts a player to access chests and kill animals in your area, not build. /untrust (player) - Removes a player from your trust. /Trapped - If you are stuck in someones claim this command moves you to outside of it. /TrustList - Lists every trusted player in your claim and their trust level. /Siege - Special command for pvp only allows you to siege a players claim. After a player has built a simple house and been ranked up to a builder they unlock the following additional commands. /where - Lists what world players are in. /baltop - Displays all players balances, sorted highest to lowest. /bal (playername) - Displays a specific players balance. /compass - Provides locational data. /recipe (Item name or number) - Shows you the recipe of an item. and the ability to use portable horses. After accomplishing the requirements of the first ranking tier the following additional commands are available. /hat - Can place any placeable item on your head as a hat. /stack - Combines any stackable items in your inventory into max size stacks. /workbench (or /craft) - A portable crafting table! /tptoggle - Disallows players from teleporting to you or spamming you with teleport requests. /co i - Activates the block inspect tool to see who modified blocks. Master is the most difficult rank to achieve. A culmination of minecrafting excellence, master requires a Tier 3 in each of the 3 rank paths. /enderchest - A portable enderchest. Masters get a couple other non-command based perks. They also do not have to wait to teleport. Masters have the option of promoting players to builders. Unlike staff they are not obligated to do so but if they want its an open option. Buildatnight makes use of two seperate protection plugins. The primary is an area (claims) protection plugin called Grief Prevention. When you place your very first chest on the server Grief Prevention automaticly protects a 10x10 area around it for you. It also shows you a helpful message in the chat log. To make your own claim somewhere else its very easy. Hold a golden shovel, right click one corner, right click the opposite corner, done. Claims must be 10x10 minimum size. To expand or shrink, use a golden shovel, Right click the shovel on an existing corner, and then right click it where you want your new corner. To view the border of any claim right click pointing at anything inside of it. When you hover over the shovel in your hotbar, you get this link: Tutorial Video I have also made a video explaining it more in depth, for the players going for (Mayor): Video. The number of claim blocks you have determines what the largest size of your claim can be. To get more claim blocks you can /buyclaimblocks You also slowly receive claim blocks when you play on this server. The longer you play, the more claim blocks you have! You can trust people in your claims, there are 4 levels of trust. Stand inside the claim you want to permit and type.. The other is only for chests, doors and signs provided by the plugin LWC. When chests and signs are placed, they are locked "with a magic spell" for others. This can be easily fixed with /unlock or /cmodify (username). Doors and trapdoors can also be locked by typing /lock and then punching/interacting with them. The primary method for people to get around rapidly on this server is with region posts. Region posts automatically generate every 400 blocks in a grid pattern. They can not be moved any way but up. By default new players are grouped together at a region post with plenty of resources and not too many buildings. Some players claim the custom recipes are one of our best features. Custom recipes may be a little taboo for some pure vanilla fans but we have made every effort to keep custom recipes from being too easy or overpowered. Each crafted item is flagged with a fun name. . The custom recipes listed here may change from time to time as we attempt to maintain that difficult balance. A long running map has very few Lily pads left in its nearby swamps. It is considered a "Non" renewable resource. In 1.7 Mojang added a LOT more gravel to the world. (As if we didnt have enough of that already) They also added a new clay based biome called Mesa. Many players are very interested in building with these new stylish blocks but mining an area as beautiful as a Mesa down to smooth stone is not how most people want to go about it. In the interest of helping both of those issues clay balls are craftable with gravel and ice. One of the more non-vanilla recipes, sand has long been a problem on survival servers. Any experienced minecrafter is familiar with desolation of public desert warps and every beach nearby missing its sandy shores. To provide an alternative for our large scale survival builders we offer a method of crafting sand using smooth stone and flint. Many players are frustrated when they blockify all of their quartz and cannot uncraft the dust back out of it. Dust being required for comparators makes this problem even more painful. Quartz blocks can be uncrafted back into their dust counterparts without any additional cost. The addition of mob spawning eggs is still currently experimental. An effort to provide an often sought after item without making it easy to aquire. The high cost of these items makes collecting them with vanilla methods much more viable. Each egg costs a mob specific item AND 1 of each, Diamond Ore, Emerald Ore, Gold Ore, Iron Ore, Redstone Ore, Lapis Ore, Coal Ore, and Quartz Ore.
BuildatNight has a very robust economy with many options. Anyone ranked "Builder" or higher can make Sign/Chest shops. These shops are maintained by the ChestShop plugin. Every time a person starts an auction, $100 is taken from their /bal. In order to have your shop named, it must be large in size with either a large selection, town, or landmark next to, or nearby it. TravelPads or 'tpads' were the main method of travel on fishycraft. They were removed long ago due to some bugs that have since been worked out. For those unfamiliar or rusty the following is a brief guide on them. Travelpads are like semi secret public homes. When you create and name a travel pad no one else knows the name. You can choose to give out the name to friends or everyone. People can also stand on it and type a command to get the name so if you want it kept private don't allow anyone access to it. You must be standing on a travel pad to teleport to another travel pad in the network. The travel pad will then transform and be ready for naming!